What do movies like The Shining and The Maze Runner (the first one, of course) have in common? Both of them shared intriguing scenes involving a maze. But mazes aren’t just reserved for movies as you also get to experience them for yourself. Keep reading as we list down 10 of the most a-maze-ing mazes in the world in alphabetical order. Thinking of an adventurous holiday to Melbourne? Then you should add Ashcombe Maze onto your checklist. 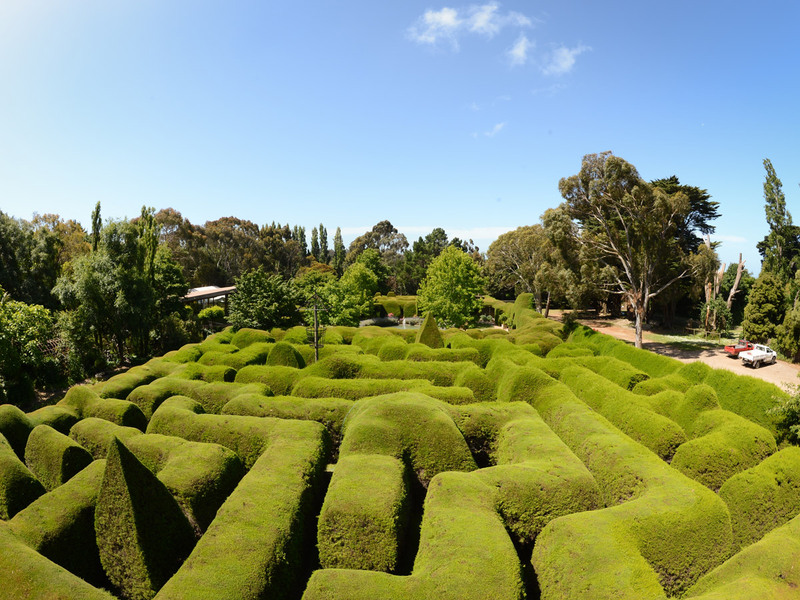 This maze, which has been around for over 40 years, is known as the “oldest and most famous hedge maze” in Australia. It is specially built using over 1,000 well-trimmed cypress trees that stand over three metres high. Apart from exploring the maze, you can also enjoy the wonderful sight of lavender plants at the Lavender Labyrinth and even participate in the Great Gnome Hunt challenge throughout the Garden Discovery Trail. Are you both physically and mentally prepared? After all, it might take you up to 3 hours to complete Massachusetts’ eight-acre Davis Mega Maze. And get this: it provides more than just a mere exploration of completing the maze challenge. You will endure various physical obstacles as well, namely water games, slingshots, zip line and climbing rope ladders. 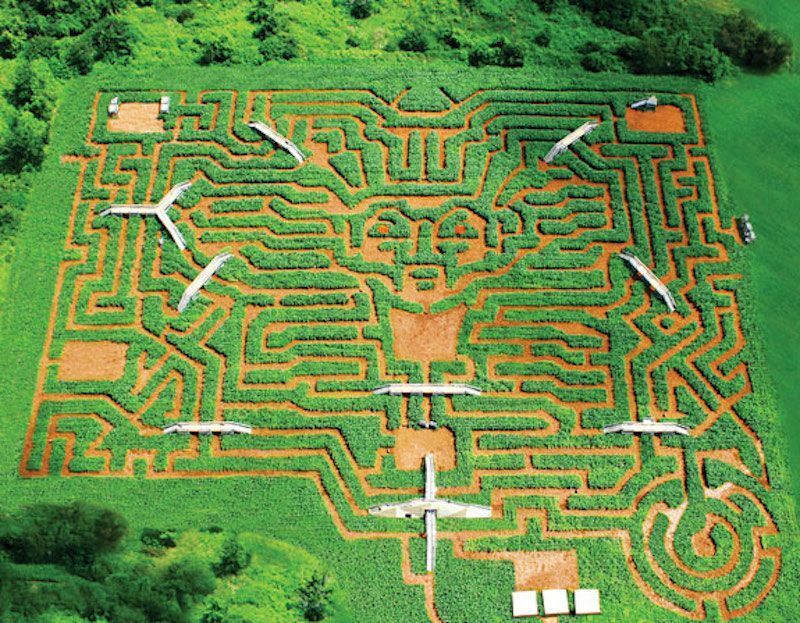 This famous Jeju Island maze boasts a few symbolic images including a serpent, the Sparrowhawk ship, horses and Bronze Age dolmens. All of these images can be seen clearly from the aerial view of an observatory. The Hampton Court is arguably known as the “most famous maze in the world” and even owned a recognition as the “UK’s oldest surviving hedge maze”. 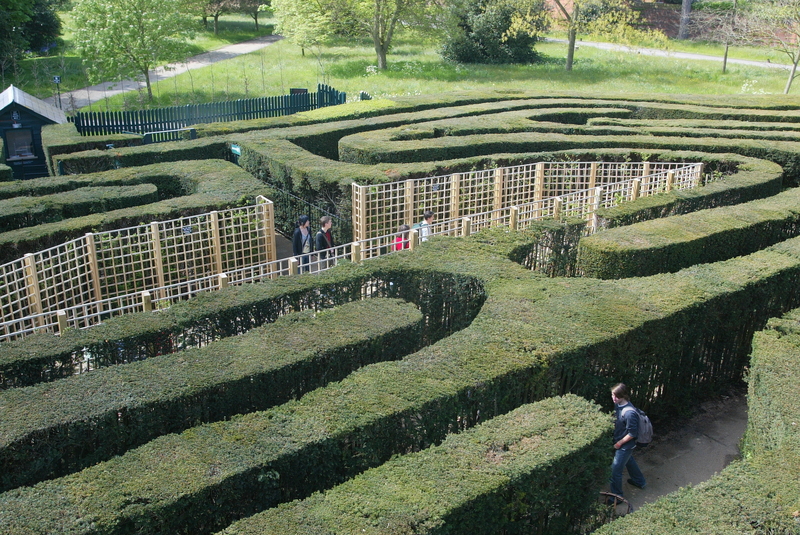 Created by George London and Henry Wise for William III around 1700, the maze spans around a third of an acre. For over 300 years, many visitors who tried to navigate the maze were left puzzled, thanks to its labyrinthine twists and dead ends. It was reported that an average time of 20 minutes is usually needed to reach the centre point of the maze. Today, the Hampton Court has been enhanced with various effects for a more intriguing maze experience. This includes the likes of music, spooky sound effects and even the sound of children’s laughter! 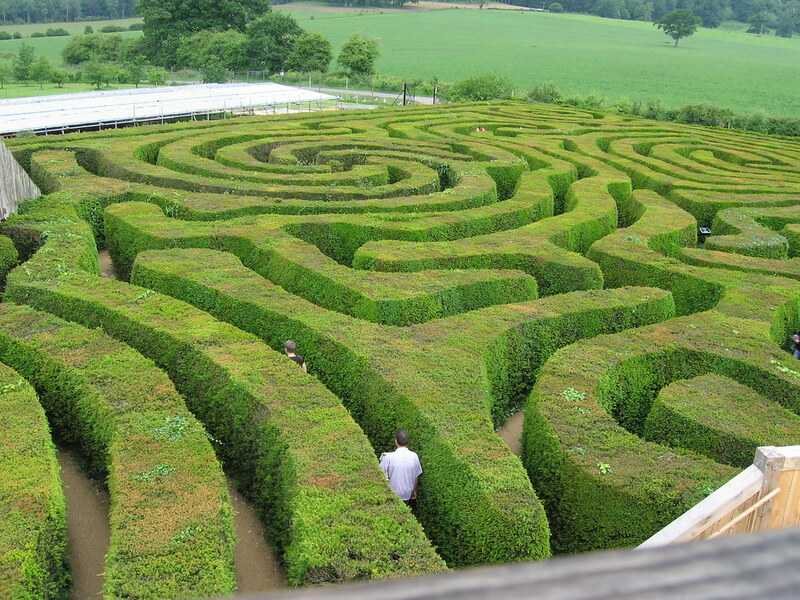 This is the 1.48-acre maze that earns its distinction as “the longest hedge maze in the world”. How long, you say? It’s close to 1.7 miles of pathways filled with twists and turns. The Longleat Maze also boasts six elevated bridges, an observatory tower in the centre point and 16,000 English yew trees. Once upon a time, the 2.7-acre Peace Maze held the Guinness World Record as the “largest permanent hedge maze in the world”. The goal of the challenge is simple: Complete the two halves of the maze, get to the centre and sound the “Peace Bell” once you successfully made it through. Four acres of a maze filled with seemingly endless rows of 10-foot tall corn stalks and yes, there is only one way out! Sounds like a fun challenge? Welcome to Petamula Pumpkin Patch in California, which is located north of San Francisco. It is also said that you need at least 45 minutes to complete the maze challenge. And you know what’s the best part about this maze? The original design of the corn maze will be altered every year, meaning you won’t get bored exploring it over and over again! If you frequent supermarkets, you might be familiar with the famous Dole brand and its canned pineapple varieties. 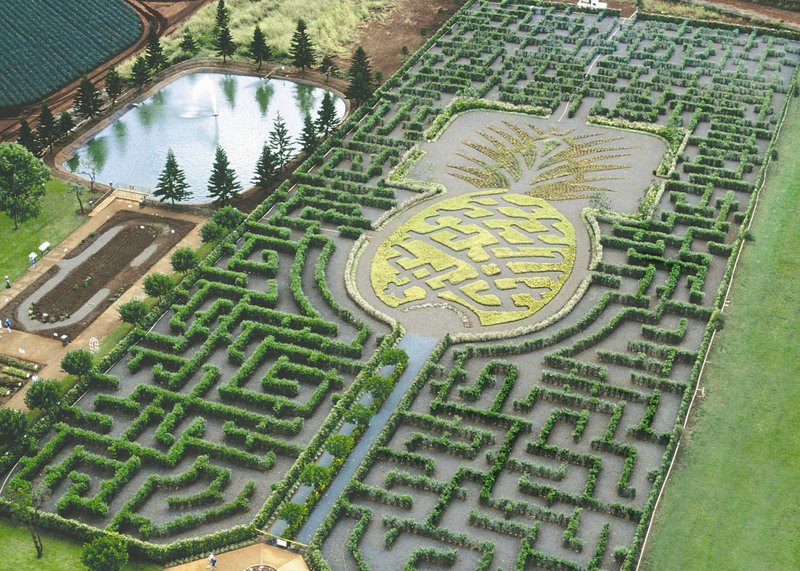 But did you know that Dole Plantation also owns a huge Pineapple Garden Maze in Hawaii? This maze, which was once the world’s largest permanent maze, covers over three acres of land with two-and-a-half-miles of winding pathways and 14,000 lush Hawaiian plants. But that is not all, as you get to enjoy the fun of seeking eight “secret stations” over the course of the journey. 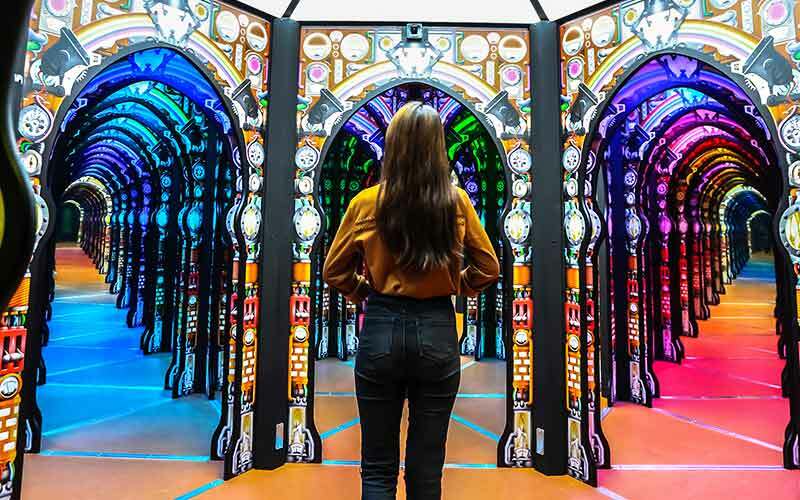 The maze may have been traditionally made out of hedges but not for this Professor Crackitt’s Light Fantastic Mirror Maze in Science Centre Singapore. The name of this attraction says it all: a 270 sq m of complex pathway full of mirrors, changing coloured lights and infinite reflections. The maze was designed by British maze designer Adrian Fisher, which was specially built in conjunction with the centre’s last year’s 40th anniversary. 20 minutes of sensory experience filled with the likes of light flashes and sound effects? 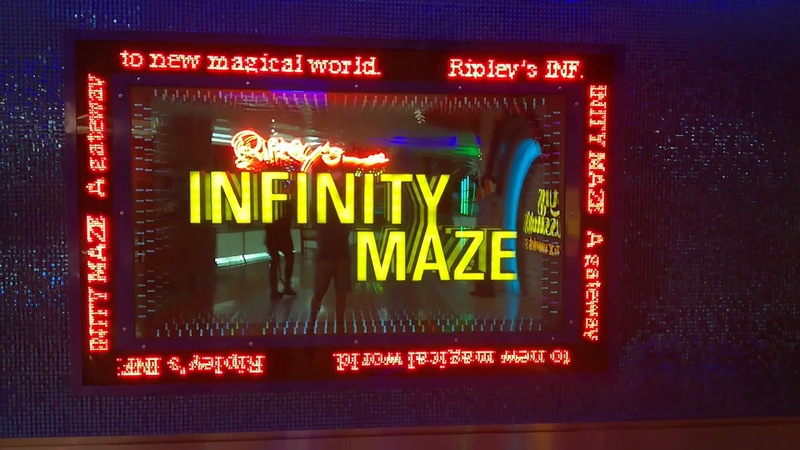 That’s Infinity Maze, which is located in the Ripley’s Believe It or Not! World of Entertainment theme park in Pattaya. And yes, the purpose for all the sound and lights are designed to “confuse” you as you find your way out of the maze.